I always learn the hard way. Our maid misplaced (a.k.a. lost forever) one of my clothes again. I cannot describe... I don't want to discuss it. I feel really bad. Starting today, I am going to devote an hour every Sunday to do my WARDROBE INVENTORY. To make the task less daunting, I will focus on one type of clothing every week. 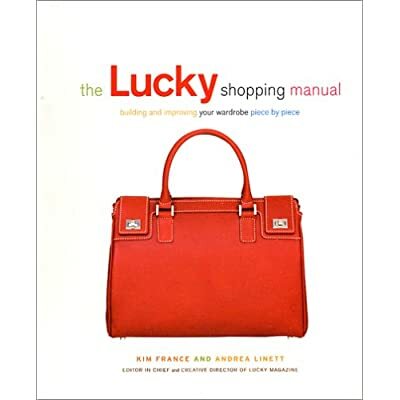 My Lucky Shopping Manual will be my guide. Join me! Let us itemize and update our wardrobes together. @Mrs. P - I know. But how? She left the workforce at the age of 31 to pursue a career in home management. With her 2-woman crew, she continues to find ways to efficiently run her household. Her blog posts are a product of painstaking research (googling and window-shopping) and experimentation (trials with errors). Retail is the best therapy. Mrs. G by Mrs. G is licensed under a Creative Commons Attribution-Noncommercial-Share Alike 3.0 Philippines License.